Heilongjiang Zhongjie Green Assembly Type Integrated House Co., Ltd. is a new type of specialized enterprise under the Zhongjie Group. The group has been dedicated to the production, research and development of steel structure building system materials since its establishment 20 years ago. Heilongjiang branch company is a large-scale manufacturer in Heilongjiang province for steel structure products and new type ofbuilding envelope board, covering 100,000 square meters, 30,000 square meters for construction area, 30,000 square meters for freight yard.The company can produce h-shaped steel structure, pipe truss, box structure, grid structure, bridge steel structure, C / Z section steel, floor bearing board, new type of rock wool, glass wool sandwich panels, etc. The Premier li Keqiang emphasized in the 2016“Government Work Report”that it is necessary to actively promote green buildings and building materials, vigorously develop steel structures and assembled buildings, improve the standards and quality of the architectural engineering. 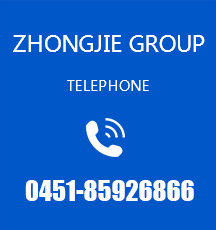 The company follows the situation, responds to The call, and relies on the companys advantages of brand, technology, capital and human resources, the establishment of Heilongjiang Zhongjie Green Assembly Type Integrated House Co., Ltd. dedicated to integrated housing operations management and provide an integrated solution for office living Space. Adhering to the concept of green construction, energy saving and environmental protection, the company is committed to the research, development, design, manufacture, logistics, installation, leasing, sales and later period comprehensive services of new style integrated housing and auxiliary product under the cold climate conditions in the north.Through fast, professional and efficient services provide users with office, reside, and integrated solutions for business applications.The companys product line is plentiful and widely used in tourism, holiday, sports events, emergency rescue, industrial and mining camps, creative buildings, public facilities, construction sites and other fields.